If you have never vacationed in the fall, you are missing out on some grand opportunities. By the time Autumn comes around, the summer heat and humidity have faded away to cool, comfortable temperatures. Additionally, many popular locations throughout North America host a wide variety of festivals that are entertaining for everyone of any age. In fact, there are at least five festivals that should have you booking your next vacation during the fall, particularly in the month of September. For several years now, South Boston has been home to one of the largest and most entertaining festivals throughout the area. The South Boston Street Festival is a massive event that typically attracts well over 10,000 residents and more than 100 local businesses. Every year, residents and business owners alike prepare themselves for hours of family-friendly fun and enjoyment. If you live in or near the Boston area, this is one festival that you will not want to miss. If you are planning a trip to Boston, make sure you time your vacation just right so you can enjoy the fun and vibrant atmosphere. Treat your taste buds to a multitude of delicious local flavors while enjoying dance performances and live music. Also, the festival offers plenty of activities for children and is pet-friendly. If you have never visited Washington D.C., the H Street Festival offers plenty of reasons why you should. The festival is similar to a block party but on a massive scale. The atmosphere is highly energetic thanks to the live music, beer tents, and various pop-up vendors. It is a large gathering of friendly people looking to have fun. Enjoy plenty of gear, art, and other items all with a focus on the Washington D.C. area. Merchants tend to show their pride for the city through their work. Stop along the way and grab a delicious bite to eat or a refreshing drink from one of the many food trucks. There are also plenty of beer tents that allow you to kick back and relax with a cold one in hand while you enjoy the sound of local musicians. The Spruce Street Harbor Park Fall Fest is often hailed as one of Philadelphia’s most anticipated events. The festival-like atmosphere encourages visitors to take a stroll through the hammock-filled scene located at the intersection of Spruce Street and S. Columbus Blvd. One of the many things you can enjoy if you attend this pop-up event is delectable food aboard a floating restaurant. Afterward, you can wash down your meal while you relax in the beer garden. There are plenty of outdoor games to play, such as shuffleboard and ping-pong. All activities take place along the boardwalk, which provides you with an incredible and colorful scenery. Vibrant LED lights hang from the trees for a breathtakingly illuminated sight at night. If you visit Philadelphia, make sure you do so during the month of September to enjoy this spectacular fall festival. Make sure you plan a September trip to New York and visit Tuxedo Park to enjoy one of the hottest festivals in the area. 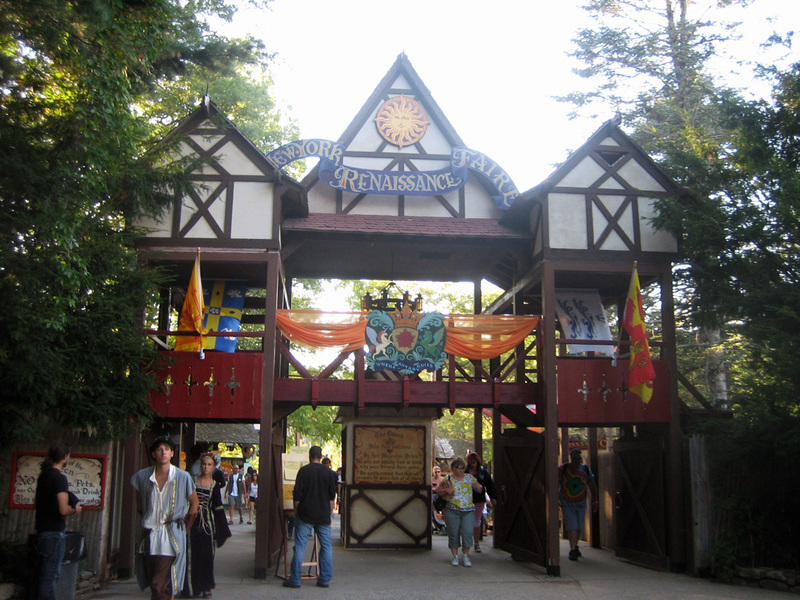 The New York Renaissance Faire is a family-friendly event that beckons guests both young and old with special events, themed weekends, unique foods, and plenty of entertainment. You can enjoy over 125 performance ranging from jousting to carnival dancers and everything in between. There are plenty of games and rides for kids to enjoy on any given weekend. Adults can participate in the Renaissance Faire pub crawl that includes plenty of jokes, drinking and comically indecent singing. If you get hungry, grab a bite to eat from the variety of foods there are ranging from giant turkey legs to traditional burgers. Also, make sure you grab yourself a souvenir from one of the many artisan markets on the way out. Beginning September 30th, Austin, TX will be once again hosting its Austin City Limits Festival. There is no better time of the year to visit Austin than during the month of September so you do not miss out on this overly popular event. The festival spans more than 350 acres in Zilker Park and features a conglomeration of jazz, pop, and rock music. The Austin City Limits Music Festival is so popular that it has attracted some well-known musicians, including Jack Johnson and Florence+The Machine. Part of what makes this particular event so enjoyable is that it incorporates the city’s cultural atmosphere. It also places an emphasis on the importance of a family-friendly environment. In other words, grab up your kids, plan your vacation accordingly, and have fun. With so many festivals to choose from, you are sure to find at least one good reason to plan your next trip during the month of September. Aside from the allure of the many festivals, you will also have the chance to enjoy the comfortable weather. Last but not least, you will give yourself the opportunity to enjoy the stunning sight of colorful foliage that is common during the fall season.